Keys, mails and phones are though small things but can create a big messy condition in your house if thrown here and there after use and can waste your time next day searching them all over. And for their regular use they should have a proper place where they can rest with safety and caution. 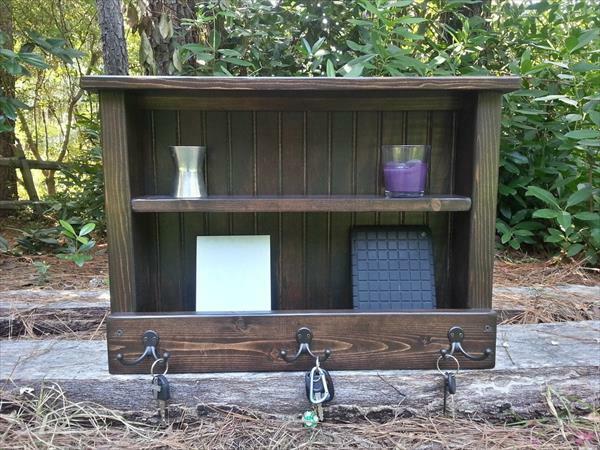 For this necessary purpose we have made this DIY pallet mail and key rustic hanging unit , to organize and house your mails, keys, phones and wallet in apple pie order. This organizing unit has been gained from the up-cycling of the pallet wood with feasible composition and simple structure. 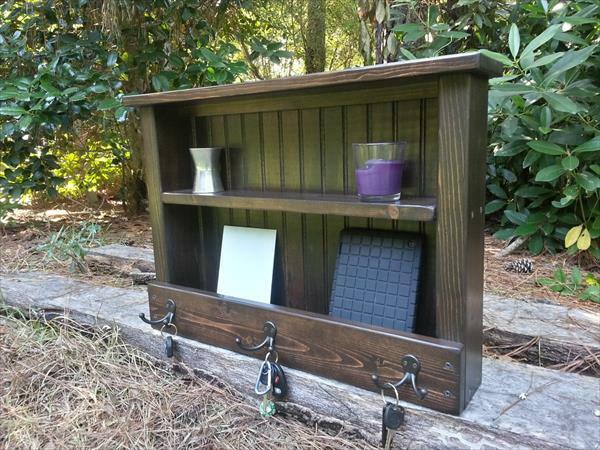 Two shelves have been rendered to this unit for the safer keeping of your important nails, diaries and phones. Some functional hooks have been fixed at the base to hang your car keys or locker keys for an easy approach at urgent and hurry hours. At the bead board back D-Hooks have been installed to make it hang on the entryway wall to flaunt its rustic flair. 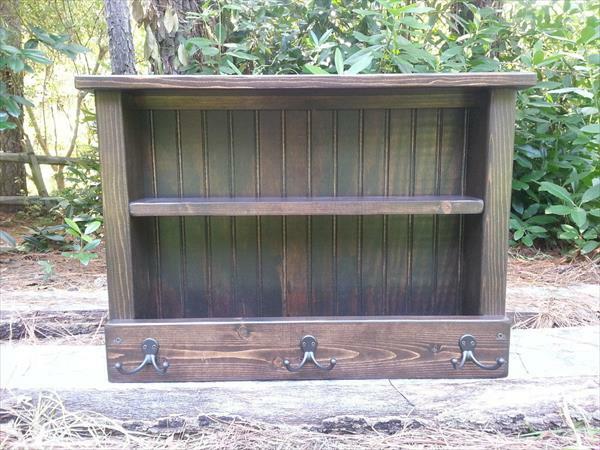 It has been sanded well before getting stained in dark Kona shade for more stylish attributes to show off.